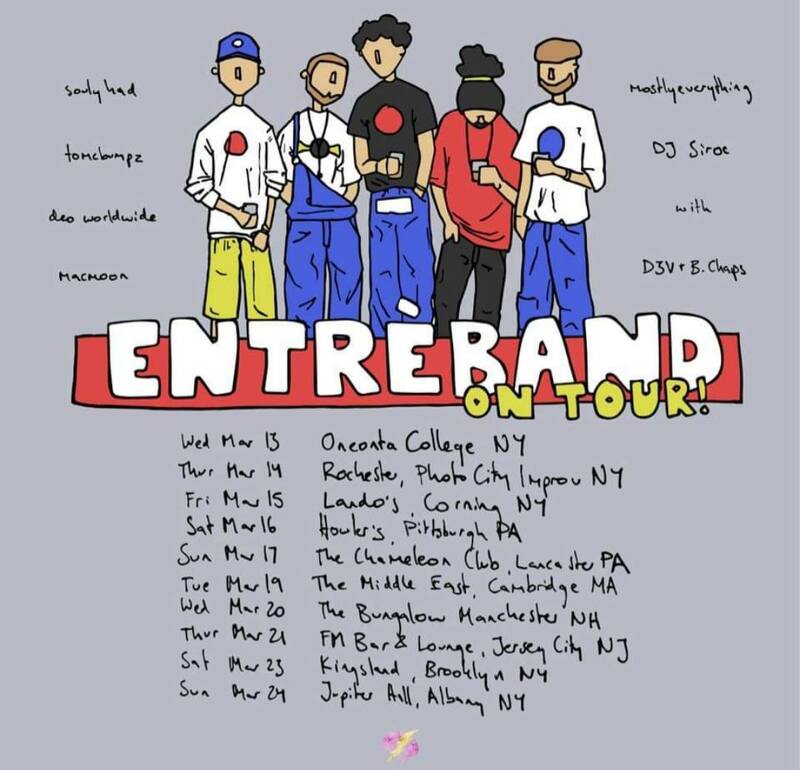 Soul and hip hop group, Entreband from the Albany area booked their first multi-date tour which starts March 13 at SUNY Oneonta college. 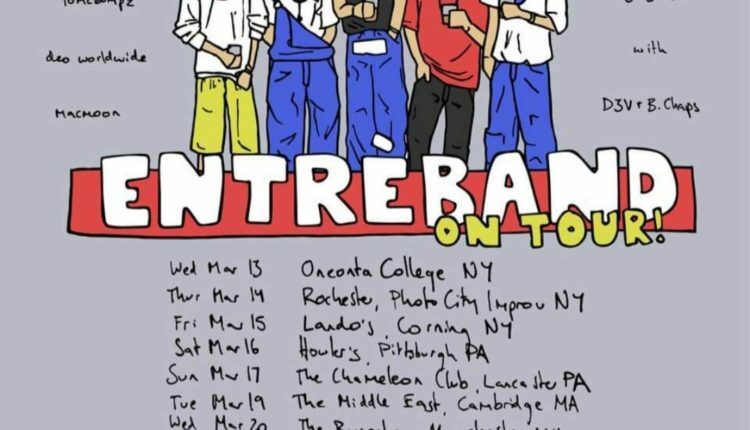 They will be joined by hip hop artiasts D3v and B. Chaps at ten dates including shows in Pittsburg, Cambridge, Brooklyn and Albany. D3v, live from the crowd. Photo by Zach Hitt. Entreband houses Souly Had with other producers and vocalists. 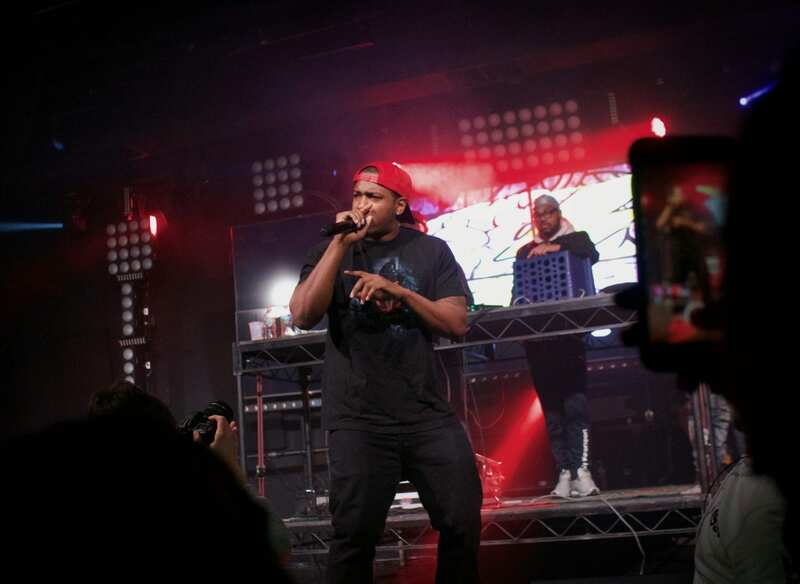 His songs such as “Deja Vu” have collectively received over 1.5 million listens after an unexpected boost from being added to a highly-visited public Spotify playlist. 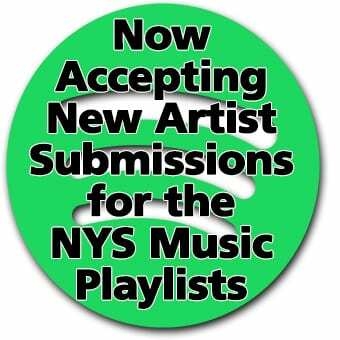 Amongst the ranks are Mac Moon, Deo Worldwide, and MostlyEverything with Tomcbumpz and DJ Siroc handling many of the instrumental beats. The group has also built a following by performing live along side artists such as The Age and Clear Mind. Openers D3v and B. Chaps also find themselves rising in popularity. D3v just launched a provocative new music video “Mad @ Me,” while B. Chaps has a project out called “Clips” which experiments with a plethora of genres. Delirium Entertainment will run point on the tour and has all information available on social media and internet platforms.